If your employer-sponsored retirement plan offers pre-tax, Roth, and/or non-Roth after-tax contributions, which one should you choose? Start by understanding the features of each. Pre-tax contributions are deducted from your paycheck before taxes, which helps reduce your taxable income and the amount of taxes you pay now. Generally, a person in the 25% tax bracket will reduce his take-home pay by only $0.75 of each pre-tax $1.00 contributed. Employer matching contributions are made pre-tax, so if your employer offers this benefit, you will want to contribute at least the amount here that is necessary to get the match on a monthly basis. Any earnings made on pre-tax contributions grow on a tax-deferred basis. That means you don’t have to pay taxes on any gains each year as you would in a taxable investment account. Those tax benefits don’t last forever, though – you are required to make taxable distributions when you reach age 70-1/2. This has become a tax albatross around the necks of many retirees today who are forced to make unneeded distributions which are then invested in a taxable account, creating even more tax liability. On the other hand, Roth contributions are made “after-tax”, meaning that you do not get a reduction in the amount of current income subject to taxes – but qualified distributions down the road will be tax-free. This tax-free benefit extends to your heirs, who are often in the highest tax brackets at the time they receive an IRA inheritance and are required to begin distributions. Some employer plans will allow you make additional, non-Roth after-tax contributions. Earnings on these contributions grow on a tax-deferred basis. This plan feature helps those who want to make contributions exceeding the annual total limit, up to a total contribution amount of $60,000 for age 50+ in 2017. When you leave or retire, under current law you can roll after-tax contributions to a Roth IRA, furthering the tax benefit. Once the annual contribution limit has been reached for pre-tax and/or Roth contributions, it may be time to consider non-Roth after-tax contributions. This should be a strategic decision based your family’s needs and tax situation. Nonqualified distributions are always subject to penalties, so in any case, your contribution decision should be based on a long-term retirement savings strategy. 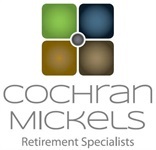 Employer plans differ and distribution penalties may apply. It is important to plan your retirement income today so that you can make the contribution decisions that will benefit you, and your family, the most in the future! Give us a call and let us help you! Securities offered through Registered Representatives of Cambridge Investment Research, Inc., a broker-dealer, member FINRA/SIPC. Advisory services offered through Cambridge Investment Research Advisors, Inc, a Registered Investment Advisor. CochranMickels and Cambridge are not affiliated. Roth IRA distributions are tax-free if made 5 years after the initial contribution to the plan and you are over 59 1/2.